We are a flooring company with long standing tradition. My flooring experience started in 1990 in San Francisco. I’m from Europe and I have worked on many residential projects in Germany, Monaco, Poland and Spain. 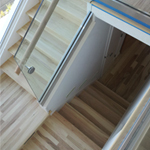 We concentrate mostly on exclusive wood flooring: engineered and solid wood for floors, cladding and even journey in all situations, in a wide variety of species and with every conceivable finish. 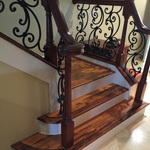 We also use the latest technology and trends in the wood flooring industry while still keeping our emphasis on reliability and professional customer service. If you require any advice on the very best wood floor for your project, the best method of installation and the best team to do it, call us – we are known for wood that works. We are committed to the principles of authenticity, ingenuity and scrupulous attention to detail. That’s why we are the Select Floors Company. We are a locally based flooring company in Hawaii with roots in San Francisco. 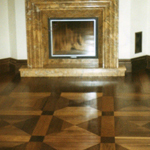 Over the years our team has worked on various projects both in Europe and the U.S.
Our experienced team can help you with a variety of different wood flooring projects, whether large or small. Contact us today for a free estimate, or just to say hi. We’re always happy to talk and answer any questions you may have. We work closely with our clients to achieve the desired result - a finish that enhances the project.